We are located in rural Appalachian Ohio. We serve approximately 1300 students in 3 school buildings and employ 171 staff members with 1 administrative building. Click here for the Ridgewood Organizational Chart. 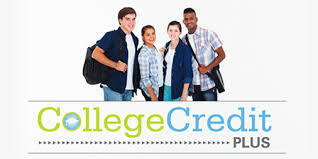 Ridgewood Local Schools offer College Credit Plus. The Ridgewood Local School District has CCP partnerships with Kenyon College, Muskingum University and Stark State College. We offer nine face to face courses totaling 42 credit hours with Muskingum University and thee face to face courses totaling 12 credit hours with Kenyon College. These courses are taught by Ridgewood teachers. We also offer 12 online courses through Stark State. Please click here for access to the list of the courses. Ridgewood Local School District received the highest rating possible on the annual Special Education Report Card.